When I got Dragon, I decided I was going to write loads of blog posts. I was going to go back to filling your inboxes with 1000-word essays every couple of days, rambling about these amazing books I’d read. So far, that hasn’t happened. Instead of apologising, I’m going to tell you a few of the things I’ve been up to during my relative quiet. Which was pretty terrifying. I sent off my application and followed it fairly quickly with the additional forms I had to fill in for one of them (and I’m working on the essays they want, too). I haven’t had any offers yet, although some of my friends have, so I’m waiting impatiently to hear from one or more of them. It’s a slightly terrifying thought that wherever I end up, by this time next year I’ll have been there around a month already. Although I’m not far off my 18th birthday, and I’ve made a lot of progress towards growing up, I’m still kind of in denial about the whole adulthood thing. Fortunately, it doesn’t terrify me as much as it useful. I actually can’t wait to be free of the restrictions of a school environment and schedule so that I can start moving on with my life, and I think I’m definitely ready for a different challenge. I don’t think I’ve “outgrown” school – I still have a lot to learn, academically – but it’s not the best environment for a slightly eccentric creative type, and I can’t wait to start living a more nocturnal lifestyle. I dyed my hair black. It’s London ComicCon this weekend, and I’ll be there. 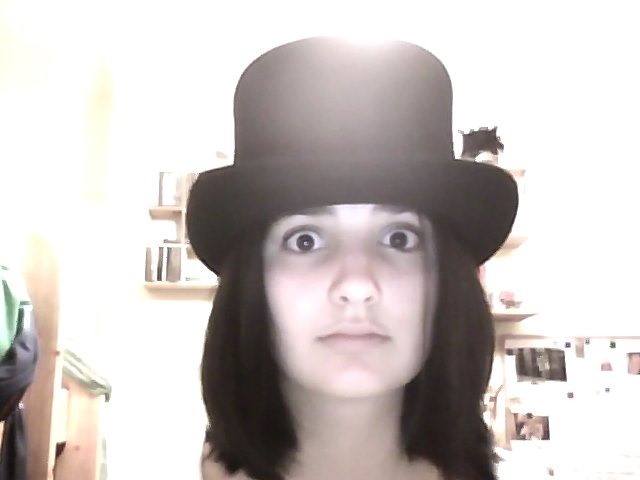 I’ve been working on my Will Herondale cosplay for a couple of weeks now – I’ve obtained a waistcoat, borrowed a tailcoat and a top hat (from two different people), and my mother made me a cravat. And I dyed my hair, because THAT’S not taking obsession too far. My friend, cosplay partner and one-day cowriter, KM, is going to complement my outfit by dressing as Jem Carstairs. 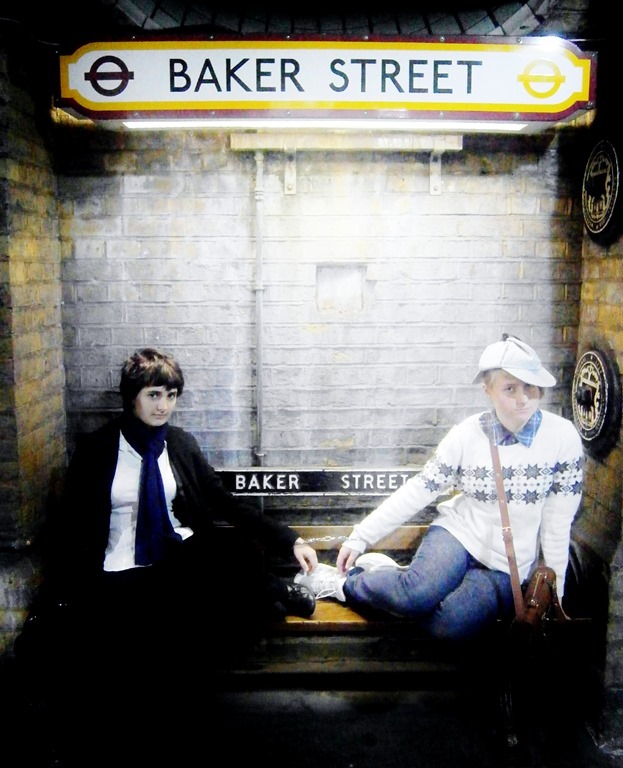 She’s previously accompanied me as the John to my Sherlock, so she’s got a history of going along with my schemes. If you see us, make sure to say hi! Though I have a feeling I don’t have a huge number of readers in the London area. Due to financial restrictions I’ll only be there one day, instead of two as originally planned (apparently, I’m “too delicate” to get a job … I’m beginning to wonder if perhaps I should be going as Jem), but it should be pretty entertaining. Although last year I wrote a detailed outline that helped me speed ahead over the first few days, I haven’t yet done that this year. But my characters have just about started talking to me, telling me some fun things about their history and angst, and I’m beginning to feel confident that I chose the right novel to work on. I’ve also started thinking about the themes I’m exploring and the messages I’m sending, as well as what the characters represent, and while I need to write some more notes, I’m feeling confident. I’m not sure whether to write a plan – so far I just have a document entitled “Everything I know about Recall so far” which is basically what it sounds like: a dumping ground for ideas. I’m getting impatient to start, so maybe that’ll help me calm myself a little. Although I had intended to take a slightly more relaxed approach and let it grow organically this year. I had a mental debate with a character. Alex (of my Death and Fairies books) marched into my head earlier and started telling me stories about what happened during the 19th century, that one time Riagan tortured him, and his reason for hating zips, among other amusing anecdotes. “Amusing” is likely the wrong word; macabre, perhaps? Though intrigued by these hitherto-unknown aspects of his backstory, I told him firmly that I wasn’t writing his next book until January/February at the earliest, and have deposited him firmly somewhere in the corner of my mind. I discovered new music and bands. This meant listening to all their albums lots of times, of course. Moulettes stole my heart with fiddle solos and provided the title of this post, The Jane Austen Argument gave me a perfect song for one of my characters and made me cry with another, and Jason Webley provided a LOT of songs for my writing playlists. Meanwhile, Danny Schmidt baffled me with the poetic awesome of his lyrics, Breaking Benjamin produced some angst worthy of Alex (and even Joseph, one of my protags that Charley termed Angsty McAngstypants), and Stars will never convince me that they’re NOT a Les Mis-inspired band. I had to take a break from the musical genius and listen to VeggieTales singing “The Pirates Who Don’t Do Anything” on repeat a few times. Spotify no longer has any idea what to recommend to me. Seriously. Living takes SO MUCH TIME AND EFFORT. Sometimes I wonder if zombies are undead literally out of laziness. What with school and ballet and illness and bad dreams and vlogging and visiting every charity shop in my town at least twice looking for waistcoats and writing essays about duality and siding with Team Hektor even while being the world’s biggest Achilleus/Patroklos shipper, I’ve just been super busy. Oh, and I’ve been sleeping a lot. I keep napping. I wonder if any of the universities I’ve applied to offer modules in extreme napping. So that’s what I’ve been up to. I want to say I’ll make regular NaNo updates but hey, you know I won’t, unless I really get my act together. Keep your eyes peeled, though. I just might. Not for the first time, I’m being hilarious in the hover text for those pictures. Eeee, wishing you best of luck for university! Where did you apply? Meep. I want to go to a Comic-Con one day. I have no idea who Will Herondale is (Hannibal? Possibly the wrong Will?) but it sounds fun all the same. “The Pirates Who Don’t Do Anything” is a lovely song. You look like Captain Crunch! I haven’t been able to go to the library to get Tithe yet but as soon as I do, I’ll read it and get the guest post to you! Ah. So it was the wrong Will. OK! That reminded me… I need to email you the latest critique for The Quiet Ones. A word on universities – don’t worry about how fast they get back to you. York accepted me within the week, but Exeter said nothing until the very DAY before the recommended date at which you should poke them in case they lost your application. The irony is not lost on me to this day. Hope you have a fantastic time at the con!!! I’m really sorry I can’t get down there – the travel cost and arrangements were too much of a pain, and I didn’t have anything ready (not in the least because so much of my laundry has gone missing I’ve hardly got any clothes left). Bah. Send my love to Alex and Angsty McAngstyPants – and tell them to shut up while you’re NaNo-ing, or threaten to hit them with a spatula. That always works. Oh, and wish me luck. I’m about to start reading The Song of Achilles, and dear lord I know it is going to hurt . . .
Yeah, a friend of mine has an offer from York already. I don’t, though. I brought home some fabric, looked pitifully at my mother for a while, and she sewed one. Which was nice of her. Wow. How is a cravat shaped when untied? It’s like a tie, except wide at both ends, and without the pointy bit.